Prepared by Ian Smith, 2nd June 2015. 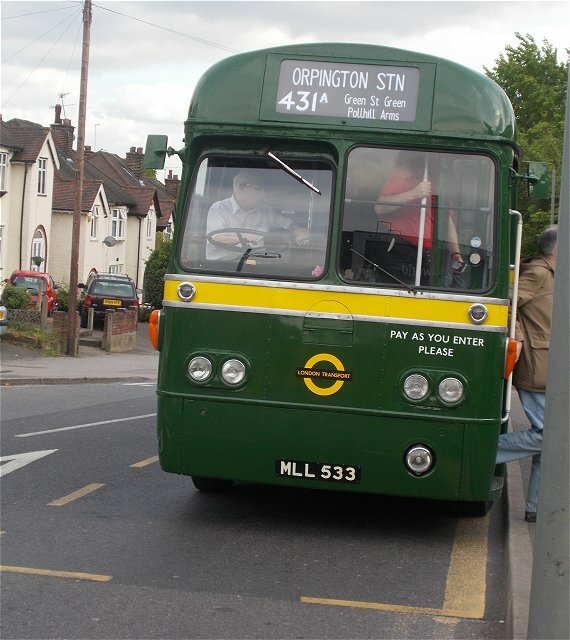 I boarded Lynx 3043. 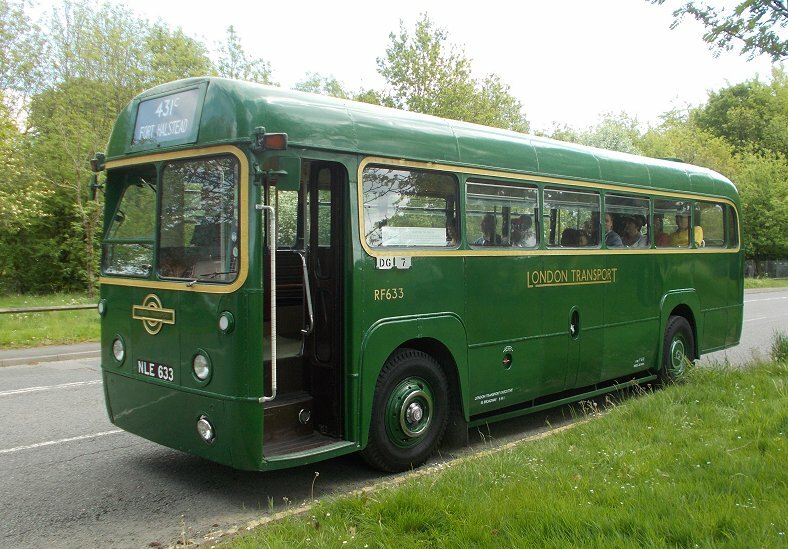 A nice bus. We headed out from the bus station, pursued by Olympian 5928. 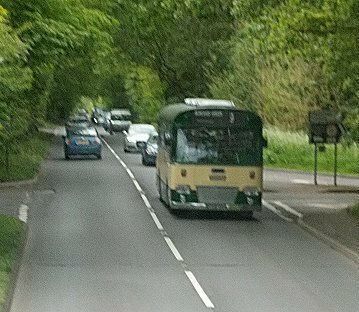 We headed north for St.Johns, down the long hill to Bat & Ball, where we turned right onto the A25. We rumbled eastwards through Seal, and on along the green corridor towards Borough Green. 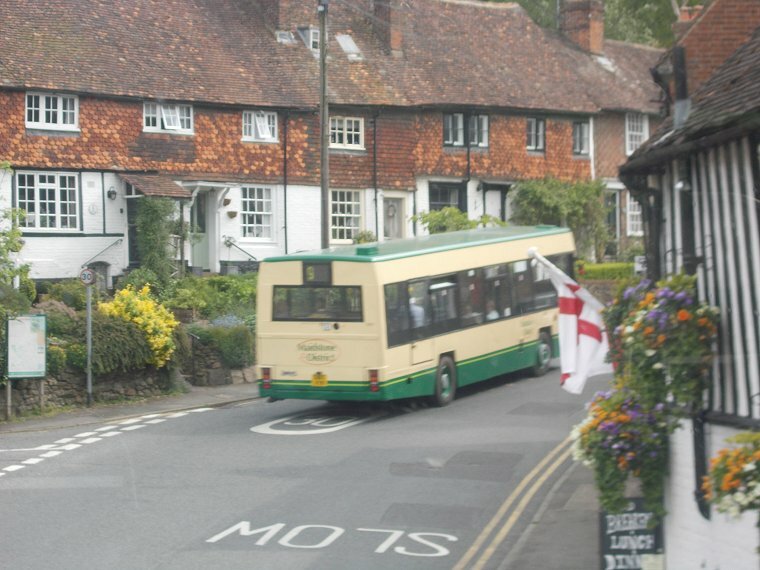 We turned off the main road to visit the pretty village of Ightham, where we paused for a quick photo stop. Then it was back onto the main road and on into Borough Green. We threaded our way through the village, forking left to reach the station, where the bus pulled in, turned round, and pulled up to the stop on the ramp. 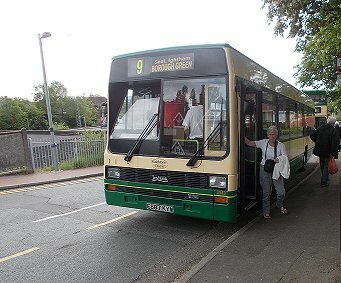 I transferred to the Olympian, and took a seat upstairs at the front for the return journey. It gave me a grand-stand view of the Lynx. But the Lynx was away before us, and wquickly established a lead through the village. But we caught up at the fork, as the Lynx waited to pull out. 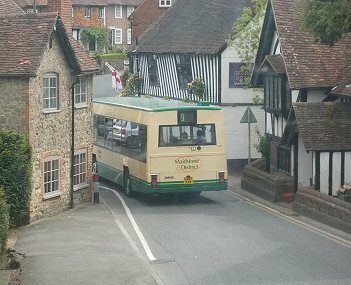 We were luckier, so were right behind as we turned off into Ightham. 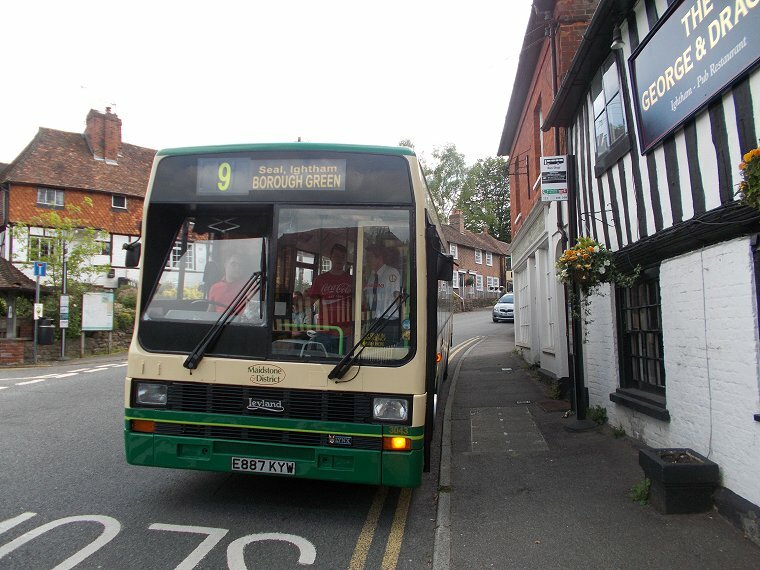 We paused for photos in Ightham, and the Lynx did not, so it was well away into the long green tunnel towards Seal. 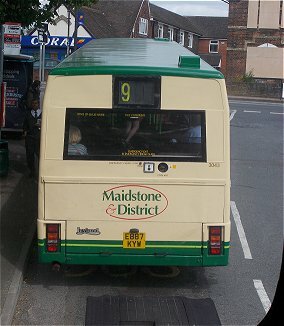 We met the other M&D bus coming the other way, heading back for Maidstone. The big Olympian climbed the hill up into Sevenoaks, and I alighted into the quiet bus station. 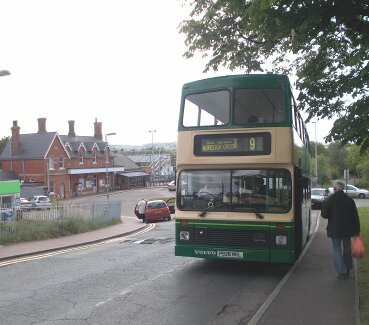 Most buses and people had already gone home. 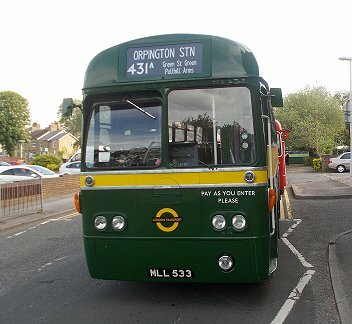 I joined RF146 for the return service to Orpington Station. 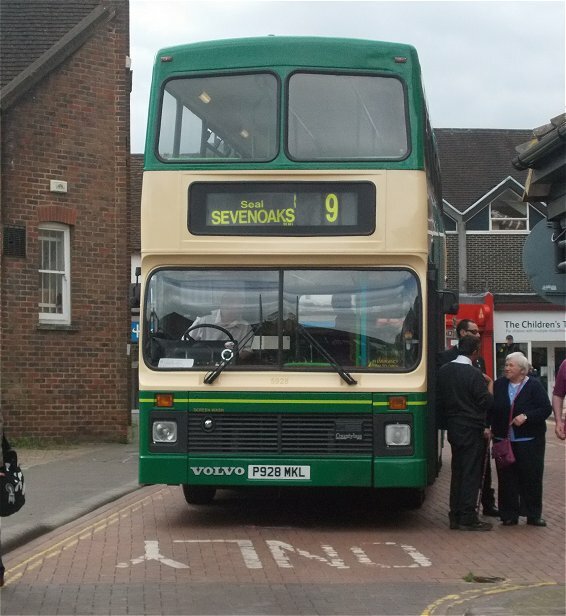 As a 431A we headed down to Sevenoaks Station with a full load. 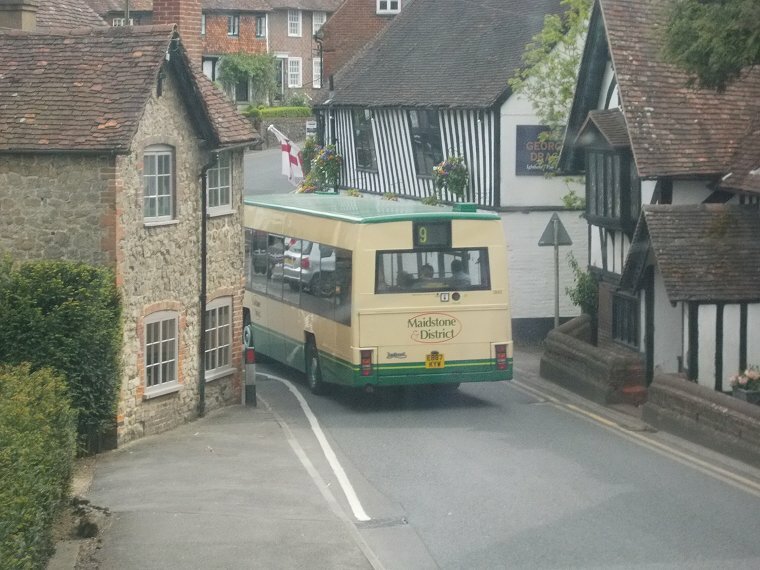 A few alighted there, but it was with a rather heavier load than in the morning that we continued to Riverhead, Dunton Green and Polhill. 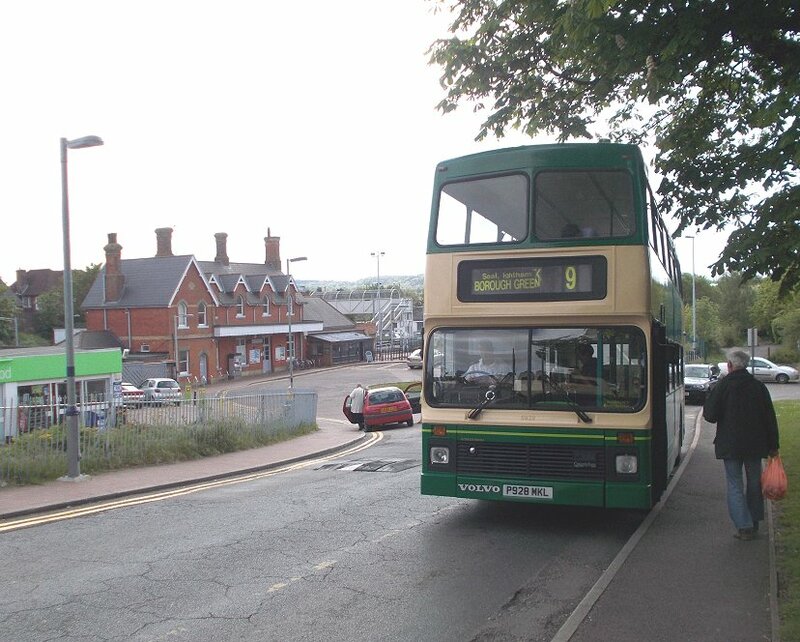 But the bus went well up the hill, to the Polhill Arms and the Badgers Mount roundabout. 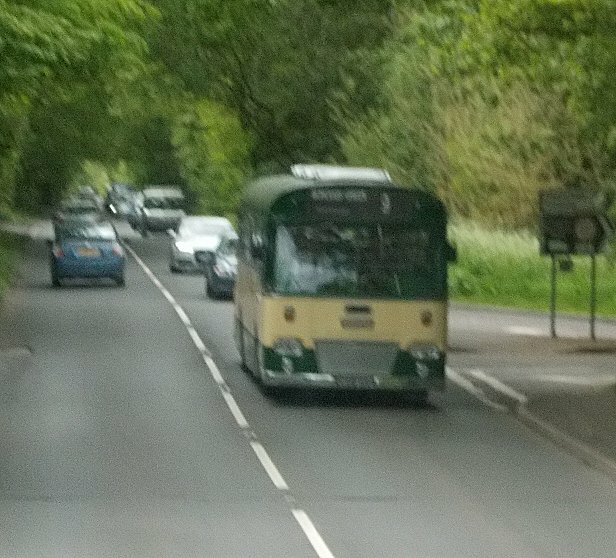 There we deviated from the 431A route. Instead of diving down to Knockholt Station, Pratts Bottom and Green Street Green we took the direct route to Orpington, trurning left off the by-pass to reach the War Memorial and then the Station. And so the day came to a conclusion as it had started, with RF146 at Orpington Station. Many thanks to CBR for organising the day, and to all the owners, drivers, conductors, programme producers, programme sellers... that made the day possible. It was good.